I do more than just fish. I also put YOU on fish! Check out some of the other services I provide. Josh Douglas Fishing Guide Service was established in 2009. I cater soley to out of state clients that are looking for an upscale fishing experience. 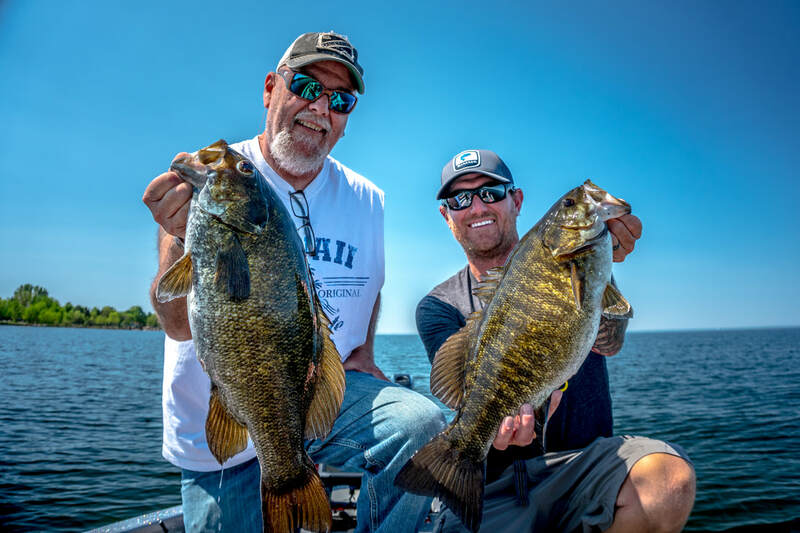 Located on the doorstep of Minnesota’s north country, just off the shores of the heavyweight smallmouth bass factory, Lake Mille Lacs. I work tirelessly to provide my clients with an unforgettable day on the water. I offer not only an exceptional fishing adventure but more importantly, teach you the fundamentals for continued fishing success. I fish out of a brand new 21ft. Phoenix bass boat equipped with an Evinrude G2 250 and provide only the best Shimano/G Loomis equipment and high-end tackle for my guests. I specialize in smallmouth and largemouth bass outings and am more than willing to arrange for group and corporate outings alike. Perhaps a day of fish catching sounds good, but your looking for more specific training. Something that'll pay off with plenty more days of fish catching. In our ever-changing world of technology, there are very few similarities between your Grandpa’s fishing equipment and the tools we depend on today. I often hear anglers tell me they feel like they need a degree in fishing electronics to get any use out of today’s technological equipment. I understand their reluctance of the unknown but assure you with better technology, comes more user-friendly equipment. Half the battle is simply turning the equipment on and putting in the time. I offer numerous hands on training sessions to help you shorten this learning curve and give you more confidence on what your equipment can do for you. I work with the industries best electronics companies (Lowrance, Navionics and Hydrowave) and in just one session will give you a better understanding of how to get the most out of your equipment.